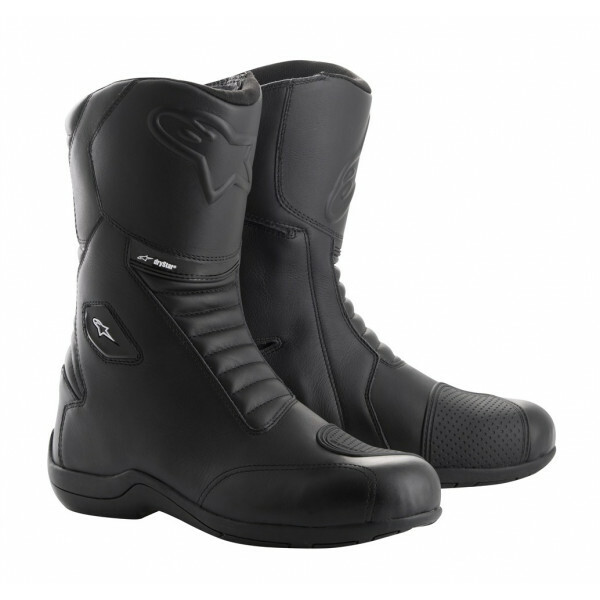 With a new boot chassis profile that offers improved feel and sensitivity on the bike’s controls and a leather upper main construction that integrates a fully waterproof membrane, the newly evolved design of the Andes V2 DRYSTAR Boot offers durability and abrasion resistance, and is ideal for long or short touring escapades. 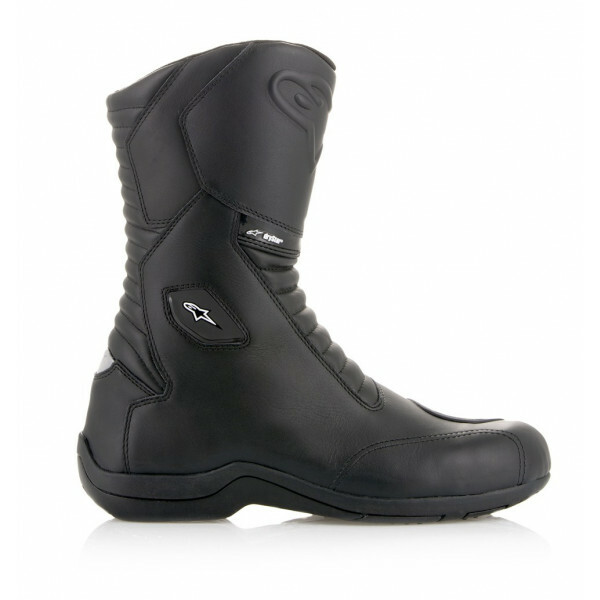 • Fully featured touring DRYSTAR® boot for long distance road riding in a range of climactic conditions. 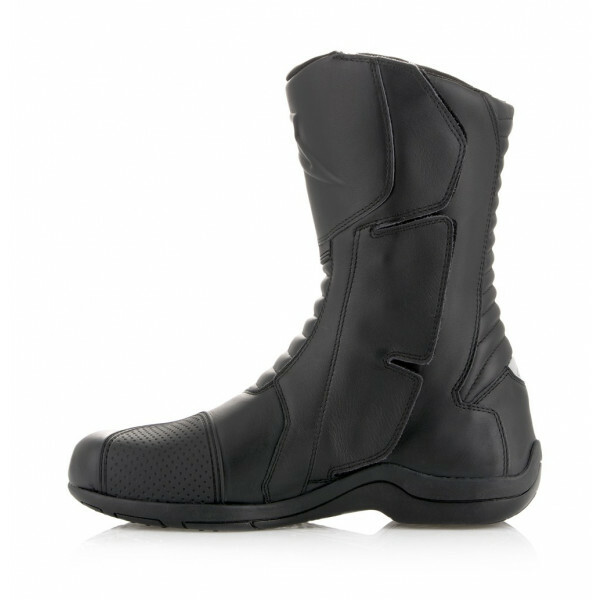 • Main upper material constructed from reinforced leather for improved comfort, durability and abrasion resistance. • Full DRYSTAR® internal membrane ensures 100% waterproof performance and a high level of breathability. • Extensive front and rear accordion constructed from microfiber to offer durability, comfort and excellent range of forward and back flex movement. • Medial side entry opening / closing system with elastic-mounted zipper and wide flap hook-and-loop grip closure for convenience and precise, secure, fit. 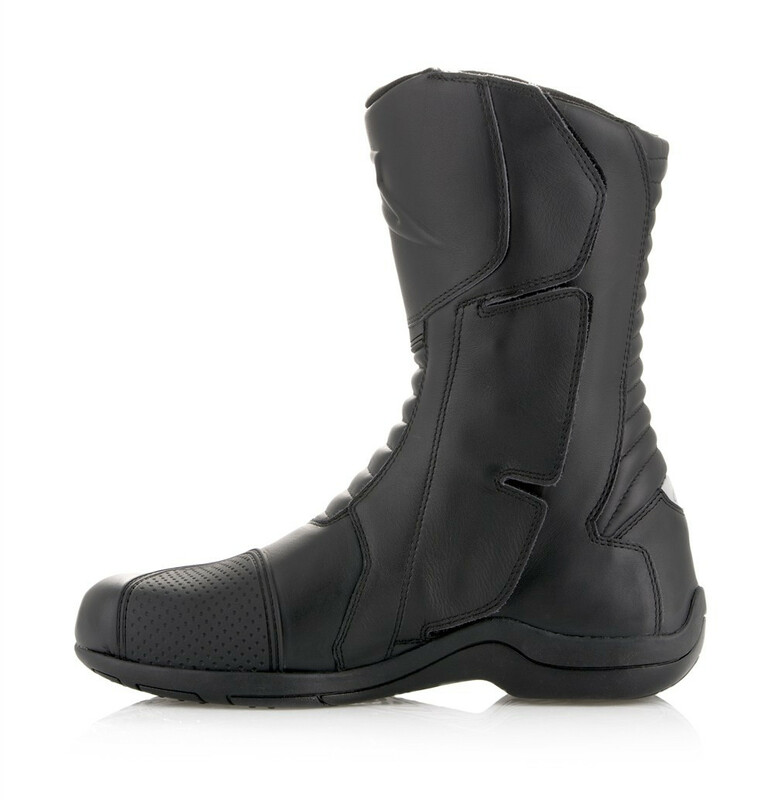 Incorporates large aperture opening to promote easier entry and facilitate more convenient removal of boot. • Strategically positioned advanced TPR shin plate and TPR ankle protector for critical protection without impeding flexibility. • Double density TPU ankle protector disks are layered on both sides under the upper and backed by poly-foam padding for protection. 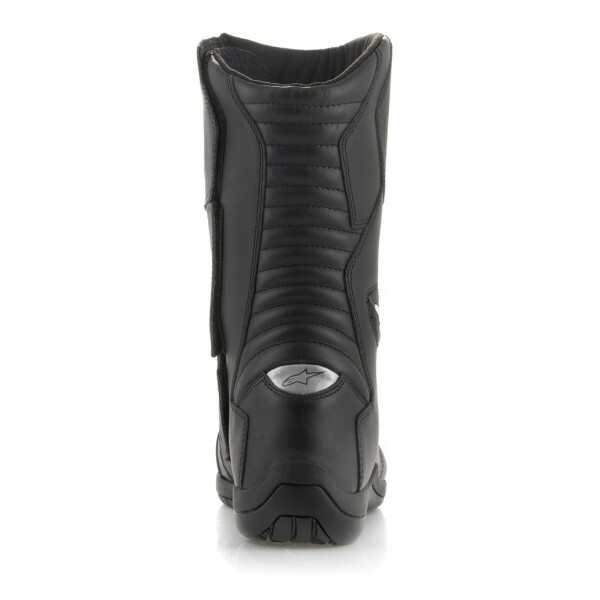 • Internal shock resistant TPU shin guard mounted under the leather gives superior impact resistance. • Advanced TPU shift pad protects the upper and the toe box from abrasion and incorporates technical texturing for grip. • Toe box and heel counter internal reinforcement gives structured support, improved feel and impact resistance. • Alpinestars exclusive vulcanized rubber compound sole promotes improved feel and grip, water dispersion and durability. 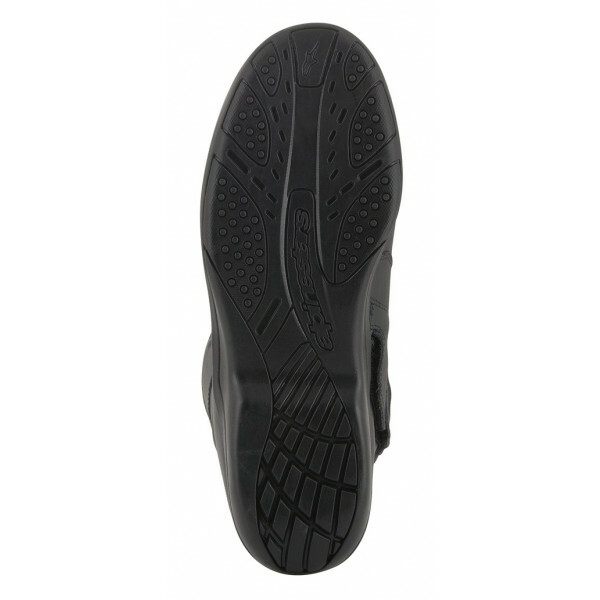 • Contoured insole injected in polypropylene includes shank reinforcement for structural support and stability. 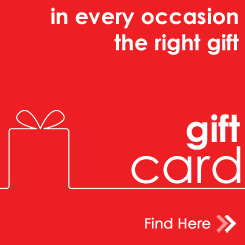 • Removable anatomic advanced EVA footbed provides arch support and high levels of comfort. • Rear reflective insert for improved visibility of rider. • The Andes v2 DRYSTAR® boot is CE certified to CE CERTIFIED EN 13634:2010.